Piracy is one of the biggest issues of current times whether it is about physical products or virtual copies. Mainly on the internet, it is spreading abruptly because there is not an effective measure to harness. After doing a little bit of editing in graphics or written text, people steal the entire hard work of a person. In this article, you will come to know about the piracy in written text that is called plagiarism. Scroll down to understand all aspects in detail. Check your content for plagiarism using this tool, just copy your content and paste the content into the form below. Then click the submit button on the box and wait for the tool to check the content is uniqueness or not. It is that easy to check your content uniqueness and quality. Before going further to know about the plagiarism checker, firstly, you need to understand that what plagiarism actually is? While searching for some information on the internet, you can find countless sources of similar information. Various websites and blogs are there to help you with meaningful content that seems identical to each other. When someone copies the entire text from an already published web page and pastes in his/her website, the plagiarism occurs. When it comes to the online portals, content is always king. Without meaningful content, even a well optimized and designed website cannot engage visitors. You need to engage them with some important information which is only possible with text representation with attractive graphics. When someone steals the content and plagiarism occur, here comes the role of plagiarism checker. 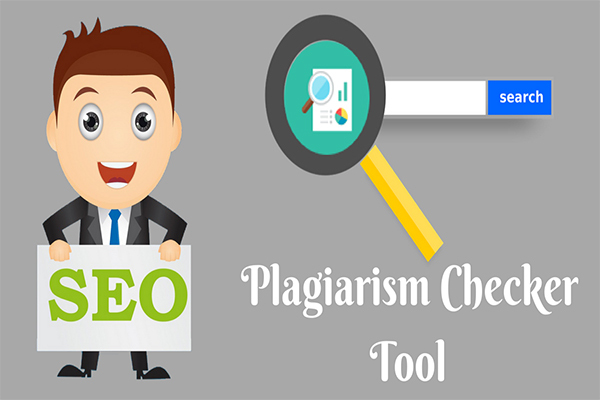 The plagiarism checkers are online tools that specifically meant for identifying the duplicate content. These are the online tools that you can avail for free or subscribe for premium accounts. The free tools conduct a quick search session by taking the sentences or paragraphs for detection. Whereas, a paid tool thoroughly detect each & every word deeply in order to detect where there is any copy or not. You don’t need to download separate software for this purpose because the entire process is online, thus, online tools at some websites can do it in a better way. Generally, plagiarism is found in academic papers and source codes which is easy to detect if you have a paid tool. Apart from these popular tools, you will also find some other tools in the same category. However, these are the proven best online portals to check the duplicacy. Currently, some companies assort multiple tools in a bundle for the ease of writers such as grammar checking, plagiarism checking, translation and documents converters. How to overcome plagiarism content? The issue of plagiarism is spreading rapidly all over the internet because multiple websites are dealing in a similar kind of service. If you are preparing some text information to update on a web page, it would be better to make sure that it is not matching with any already existing text. For this purpose, you need to subscribe to a paid tool for better accuracy in detection. If you don’t have enough money to invest in such kind of tools, search for the portals where trials on a weekly or monthly basis are provided before subscribing. After preparing the text content, Copy it and paste in the space available at the web page of plagiarism checker. After the execution of the search, it will detect the text which is identical to any website. Replace it with new text. This is the only way to overcome the plagiarism issue. Now the question is, what happens if you are using a plagiarized content for your website? The answer is, warning alerts by search engine service provider and sometimes ban on your website. For instance, Google has an algorithm to identify whether your website has unique or copied text. If it is copied, the smart algorithm can detect it by matching with other online portals. It will send a warning to the newest content owner regarding piracy. The most serious consequence of this issue is blocking of your domain name if the violation of rules is detected multiple times. The plagiarism checking tool only works if the content is already on a working website. Even you can also search if someone is stealing your web content and using it for his/her own purpose. For this purpose, copy the text of your site and paste in plagiarism checking tool and find out where it is being used. If you find any copy, file a complaint to the search engine service provider. They will confirm your claims and take effective steps against that website in this concern. Without checking your content uniqueness, if you publish the duplicate content on your website Google may identify this content is duplicate and blacklist the site. Spamming techniques may fall your site rankings to the end of search results in Google, Yahoo, Bing, and AOL. Plagiarism checker checks the content is uniqueness or not if you have a duplicate content on your website you lose the valuable ranking in search results. To avoid the duplicate content Plagiarism tool has been evolved to identify fresh content all the time. In order to help users detect copied content from all around the web, we have created a similar free plagiarism tool for students, professors, content writers, journalist to protect the content & not to be stolen from the publisher. Everyone requires fresh and quality content, so it is important to focus and create a new content from scratch without any thought of duplication. Especially people in the field of online publications, news and students are necessary to have plagiarism checker tool for analyzing any duplicate content lines and avoid using the same content on their site. That’s the reason many site publishers use plagiarism checker tools and software before publishing them. How does the Plagiarism checker tool work? First, your article scanned line by line from the Internet (WWW - World Wide Web). If any line shows red in color, means the content path is not unique and green color shows the content is uniqueness. Along with the line by line response to the content, it shows the percentage of content is uniqueness by carefully verifying from the Internet. All the phrases or sentences in red color represent the sentence already exist on another site. When the tool completed scanning your content, it shows red and green color sentences with how much percentage exactly your content is uniqueness. Login with your account or subscribe as a new user to gain access to their services. A blank space for pasting text will appear on the next screen. Copy your text and paste it in that space. Before pasting, please read their limit carefully. Some plagiarism checking tools have limits check a specific number of words at a single time such as 500, 1000 or 2000. Take the piece of content accordingly. After pasting, initiate the search by clicking on check plagiarism. Sometimes, you might need to pass the captcha test to proceed further. When the plagiarism checking process starts, it will take a few seconds or minutes to execute the process. The time span varies on factors such as internet speed, the quantity of text and in-depth details. The results will appear with the percentage of unique and plagiarized content. If it is 100% unique, use it anywhere. If plagiarism is detected, the tool will highlight the text along with website details where a particular piece of text is already existing. Use your creativity to customize the content with different words, then check again for plagiarism. Do not use the text until it is 100% unique. How to use plagiarism checker tool? First copy the required content and paste on the plagiarism tool, then type the captcha code & click the submit button. The tool will analyze every line step by step to differentiate plagiarised content and the original content in red and green color. Once plagiarised content is identified, it has to be rewritten to make the content unique. The Plagiarism tool is to eliminate duplicate content and publish quality content. All the SEO analyst specialist and uses Plagiarism tool check the content before publishing to any third party websites. The plagiarism is 100% percent free to use without any difficulty. This tool will become great in the history of search engine and all SEO content writers, students with a professional degree, professors check for their mistakes to be rewritten easily. Many top universities use Plagiarism tool verify the current student's assignments and projects. You can check around 1500 words using word counter freely without registration or interruption. The tool is mobile friendly and completely free for the life to check your content anywhere at any time. Plagiarism detection tools help to make the internet a better place for original contents. The digital marketers may steal the data, overstuff it with high ranking keywords and publish at a new domain. It ruins the quality standard of the World Wide Web which is an open space for all. With the help of plagiarism checker tool, one can keep his/her website distinctive from others in the sense of content management. It helps in preparing an original project report for students whether it is at the schooling level of professional grade research papers. Their reports must be 100% unique and meaningful. For this purpose, the paid plagiarism detection tools are recommended in priority. Freelancer content writers need a reliable tool that must maintain the quality of their work at the topmost level. For this purpose, grammar checking and plagiarism checking tools are very essential. It helps in maintaining the quality standard of content so that the clients always remain satisfied and bring more work to them as a long term relationship. In a business firm, it is the duty of a professional content writer to prepare high-quality content which is plagiarism & grammatical errors free. It is essential to maintain the quality standard of business. Content is always a king at virtual platforms, thus; its credibility standard must also be higher. Otherwise, it becomes difficult to bring new clients and retaining the existing ones. Website owners also need a reliable plagiarism checking tool whether they know content writing or not. Especially for bloggers, plagiarism tool helps in checking if anyone is copying their content. It might be possible that the search engine crawler takes time for identifying the copied content. However, the harlequin earns several bucks in that time period. If you don’t want to let your content being exploited, use the plagiarism tool. It can easily detect the website where the text is published. Complain about proof to the search engine and they will penalize the culprit. The digital world is highly prone to piracy and there are only a few measures to control it. Unlike visual material, the text is easy to identify if it is copied if you have a good quality plagiarism checking tool. The premium versions may be a little bit expensive but not more than your business value. Even some free service providers also give you premium quality features but limited in words quantity and number of articles. If you are running an online business where content is required at every step, plagiarism checker can help as a great assurance tool.